3.5mm iPhone Microphone to PC cableThis cable is converting iPhone Microphone signal from 4 contactors 3.5mm plug to a regular 3 contactors 3.5mm left channel. 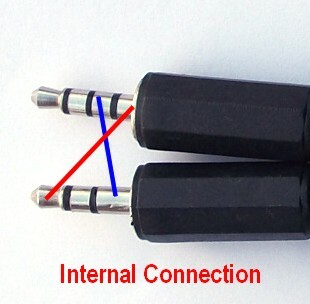 It can be used to connect a regular audio source to iPhone microphone. Such as GMC Geiger Counter audio output to iPhone, iPad microphone input port.